Hey! How is your weekend? I am sure you have more time for relaxation or pampering during your weekend compare to the hectic weekdays. So weekend is the best time for mask. Recently, I am using KOSE SEKKISEI Lotion Mask three times a week. It’s my recipe for hydration and translucent skin because it gives 10 times hydration in 10 minutes. SEKKISEI Lotion helps to brightens and hydrates the skin, contains three major extracts such as Coix Seed, Angelica and Melothria which are selected out of approximately 100 types of oriental plants. It’s a refreshing whitening and moisturizing essence that helps to prevent pigmentation, freckles and dehydration. The texture is in cloudy white lotion with fast absorption into the skin and does not leave any sticky or oily feels. It has a gentle, fresh and mild floral scent with top note of rose and jasmine blended with chamomile. It’s very refreshing and light. I use the SEKKISEI Lotion in my daily beauty regimen and the Lotion Mask at least 3 times a week. The SEKKISEI Lotion Mask is not to be missed because it gives 10 times hydration and immediately after the mask you can see the skin glowing. 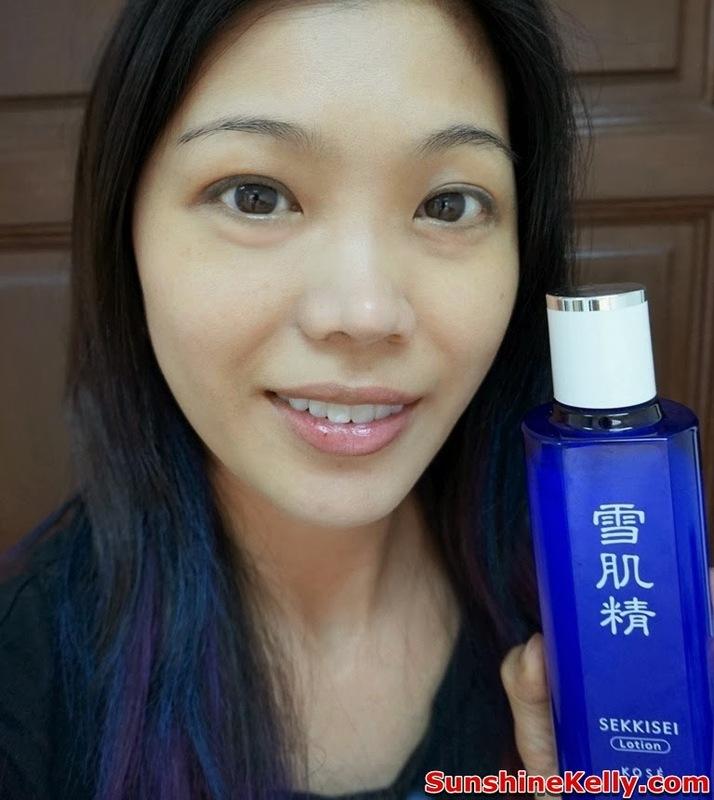 After 14 days using the SEKKISEI Lotion and Lotion Mask I feel that my skin is hydrated, brighter and I can see that there is natural radiance. Say good bye to dull looking skin. 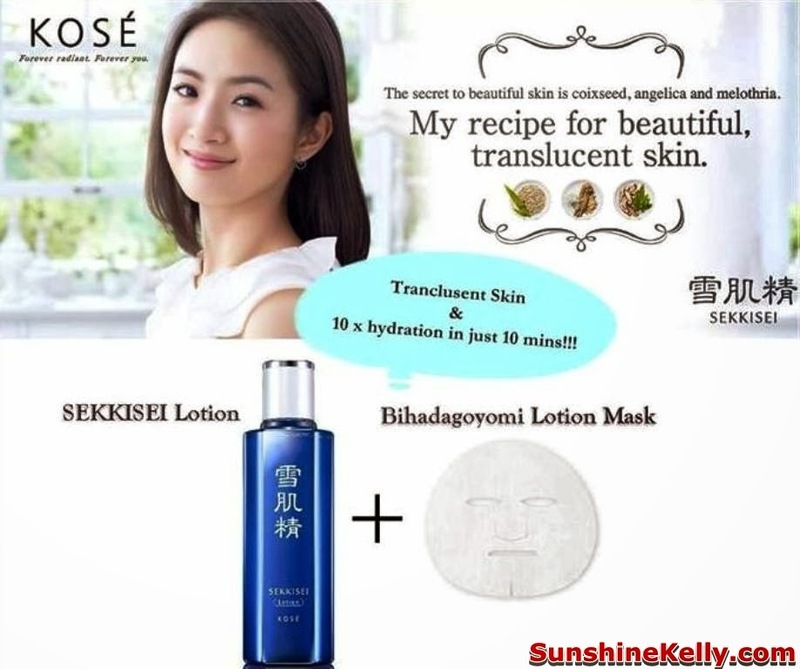 KOSE SEKKISEI Lotion Mask is the recipe for beautiful translucent skin. 1. Use after face wash.
2. Wet cotton wool thoroughly (2 – 2.5ml) and pat on face, neckline and also hand. 3. For parched dry skins, use together with Lotion Mask 2 – 3 times weekly. 1. 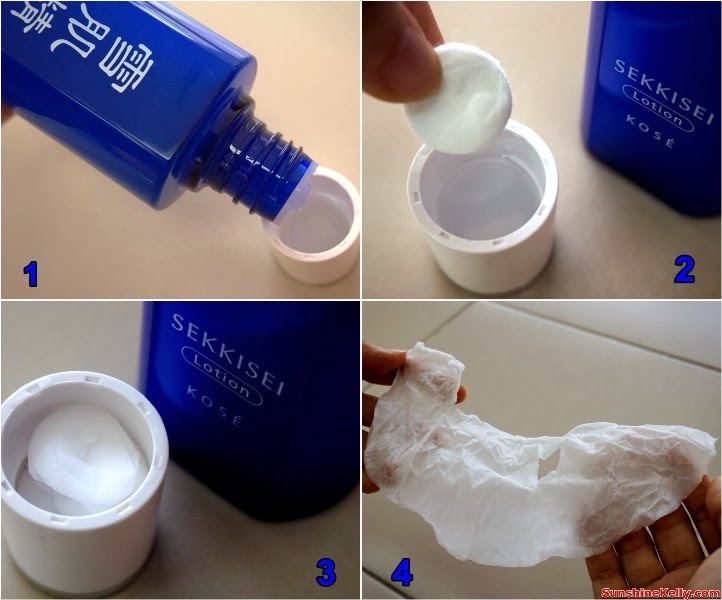 Place one compressed paper mask in bottle cap of SEKKISEI Lotion. 2. Fill cap generously with SEKKISEI Lotion until the marking line and allow mask to absorb lotion till it puffs up. 3. Unfold the mask and place onto clean face for about 10 mins. 4. Apply SEKKISEI Emulsion after removing mask. You can also get SEKKISEI Trail Kit at RM170 (worth RM317) which consists of SEKKISEI Lotion 200ml, SEKKISEI Emulsion 70ml and SEKKISEI Essence Mask 1 pc. 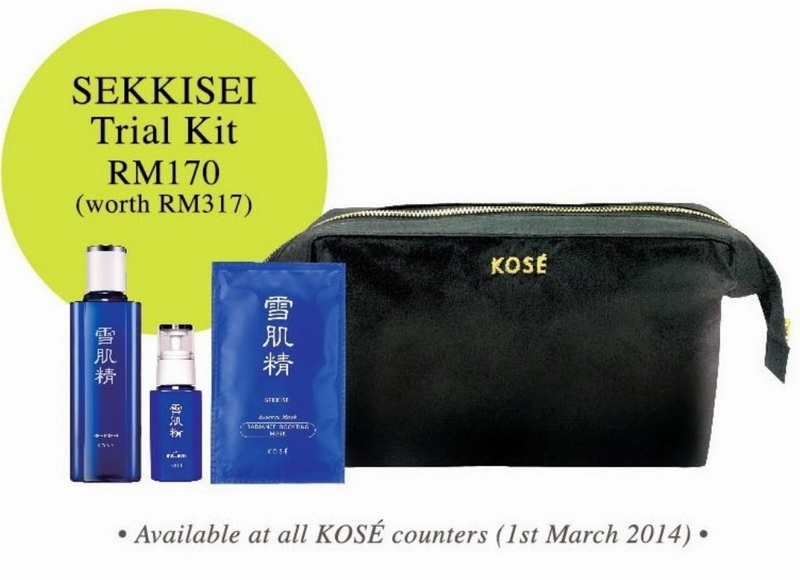 This set is available at all KOSE counters beginning of 1st March 2014. By the way, KOSE Parkson Pavilion is having promotion from 27th Feb till 5th March at Parkson Pavilion, Level 3, Cosmetic entrance with limited Sekkisei Trial Set @ RM170. 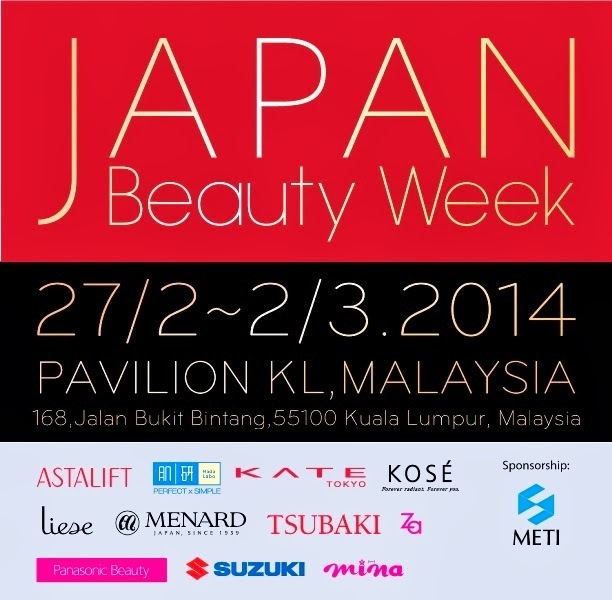 KOSE is also one of the participating brands in Japan Beauty Week Kuala Lumpur at Pavilion KL from 27th Feb till 2nd Mac 2014. KOSE is giving out SEKKISEI Lotion Mask pack for you to try. Please come to experience the magic of SEKKISEI Lotion mask & meet KOSÉ Japanese Professional Guru, Mr.Dobashi for easy tips and tricks to enhance your makeup concern for beautiful translucent skin on 28 Feb at 5pm. I will be sharing my experience using the SEKKISEI Lotion Mask. For my reader and followers please take note if you come with something “Blue” color (could be your clothes, bag, shoes, earring, purse, handphone case or anything blue) on that day you can redeem something special at KOSE booth. See you there.